Thrill-seekers got the chance to experience the blistering speed of life as a racing driver as cutting-edge PC manufacturer YoYoTech teamed up with BMW for an event in London. 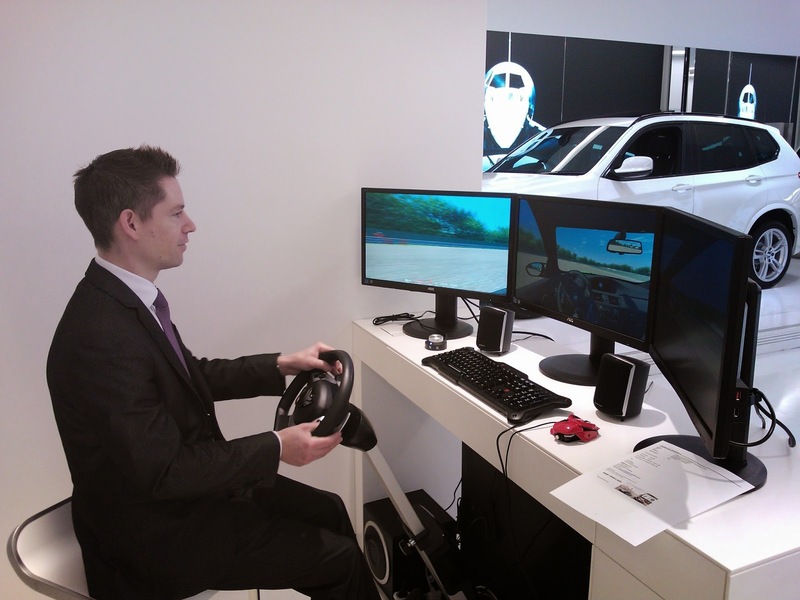 Visitors to the BMW showroom in Park Lane were given the chance to race a BMW M3 around a track on a simulator set up in the showroom. There was a 29-inch MX Asus monitor up for grabs as a prize for the competitor who posted the fastest lap time. The simulator was powered by YoYoTech’s XDNA Aurum 24k PC – a £7,979 hand-built, liquid-cooled machine that is the ultimate in gaming luxury. The system was running Assetto Corsa Racing Simulator, an incredibly realistic racing simulator which reproduces real-world circuits and racing cars. The event showed off the raw power and incredible speed of the Aurum system, the most expensive in YoYoTech’s range of gaming hardware. YoYoTech Business Development Manager Ryan Pearton said: “BMW are known for quality and power and that makes them a perfect fit for YoYoTech. We were delighted to be able to team up with them for this event and to give visitors the exhilarating experience of driving a BMW on our most powerful system. “This was a true racing simulator and not a game – so many people were surprised at how difficult and realistic it was. Those people who had been on track days got the hang of it pretty quickly and remarked how real it felt. YOYOTech - whose website is at www.yoyotech.co.uk - is renowned in the world of gaming PCs and has built up an unrivalled reputation among gamers thanks to its expert knowledge, range of products and expertise in hand-built custom-made PCs. As well as offering its high-end systems, YOYOTech has recently launched its new Warbird Colour range – affordable yet powerful PCs that are aimed at taking on console giants Sony and Microsoft in the battle for gamers’ hearts. YOYOTech’s Warbird M-Cube 1 package comes with a 23-inch display and 1TB hard drive and is around four times more powerful than Microsoft’s XBoxOne and Sony’s PS4 - despite the bundle being in a similar price range at just £599.99. Both systems are easily upgradeable – keeping YOYOTech machines ahead of the game compared to their console rivals.